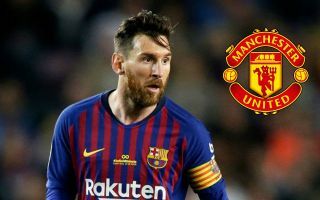 Manchester United look to have been given a major boost from Barcelona superstar Lionel Messi, according to latest transfer news from Spain. This is because Messi is said to have blocked Barca’s bid for Bayern Munich left-back David Alaba, who has also been linked as a target for United in recent times. The Argentina international prefers Jordi Alba at left-back after striking up a great on-field relationship with the Spaniard, and has requested that Barcelona do not move for Alaba to replace him, according to Don Balon. This could be good news for the Red Devils, with Jose Mourinho a long-time admirer of Alaba, who has shone as one of the finest defenders in the world in recent times. The Austria international can operate to good effect at left-back, centre-back and even defensive midfield, so could fill a variety of roles at Old Trafford. The latest on United’s interest is not clear at this stage but one imagines this development could spark them back into life in this particular deal. MUFC certainly do need an upgrade on their current centre-back options, while Alaba could also compete with Luke Shaw for a place on the left and perhaps even provide an upgrade on the likes of Paul Pogba and Fred in central midfield.